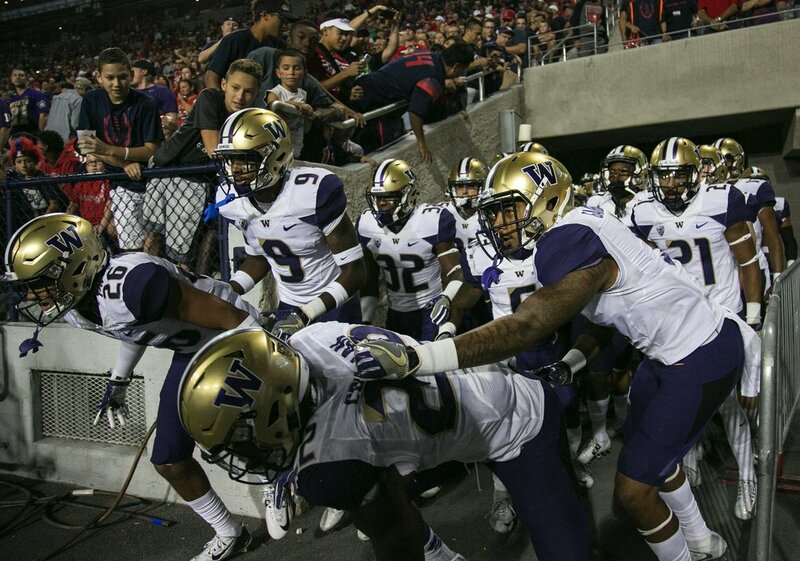 What did week two in college football provide to the viewers? Just a hard-fought top five matchup in Columbus, Ohio, a nail-biting comeback in the Pacific Northwest, an historic win by a high-profile SEC program, and a Heisman candidate who has probably elbowed his way as the clear favorite in the race. We are barely halfway through the first month of the season. So let’s focus on what we observed from week two of the season. 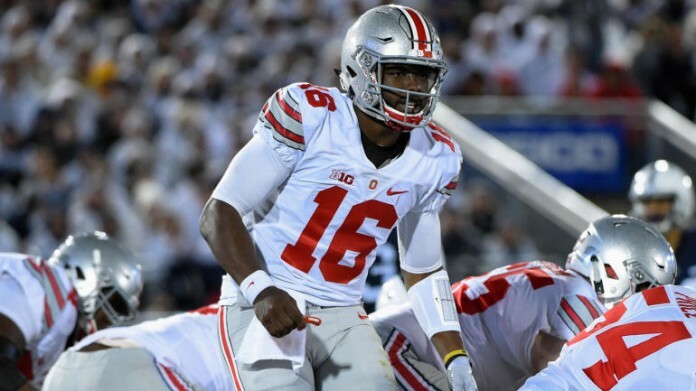 I’m sure many did not expect the #8 Ohio State Buckeyes to look how they have looked so far. 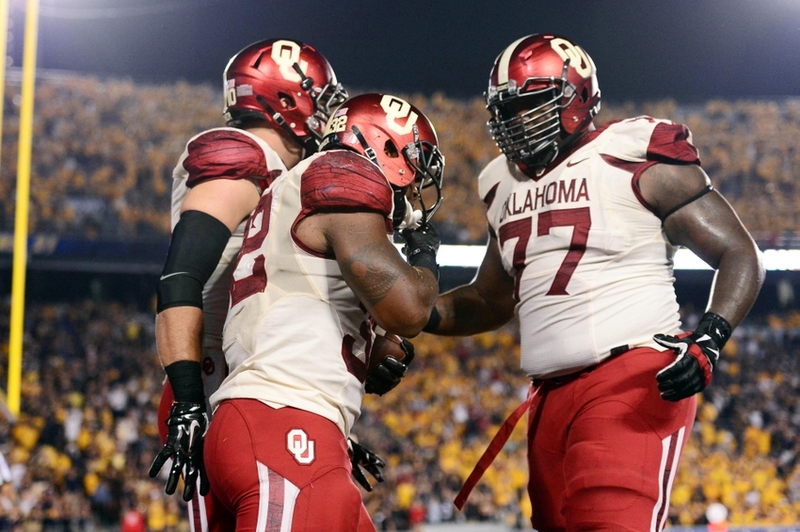 The defense has already given back to back games of over 400 total yards of offense, including 490 to #2 Oklahoma this past Saturday. The Buckeyes gave up only four 400-yard games last season and the second one did not come until mid-October. Plus the offense looks a little lost and answers are truly needed. Talent will never be the question for the Buckeyes but there are a few questions that need to be answered and answered immediately. Especially for a team that was considered a College Football Playoff participant by many. Simply put, if Louisville quarterback Lamar Jackson was not at the top of your Heisman ballot, he is making it hard to keep him out of the top spot right now. Jackson already has over 1,000 yards of total offense (both passing and rushing) to go along with eight total touchdowns and zero interceptions. There is no player in college football more electrifying with the ball in his hands more than Jackson. 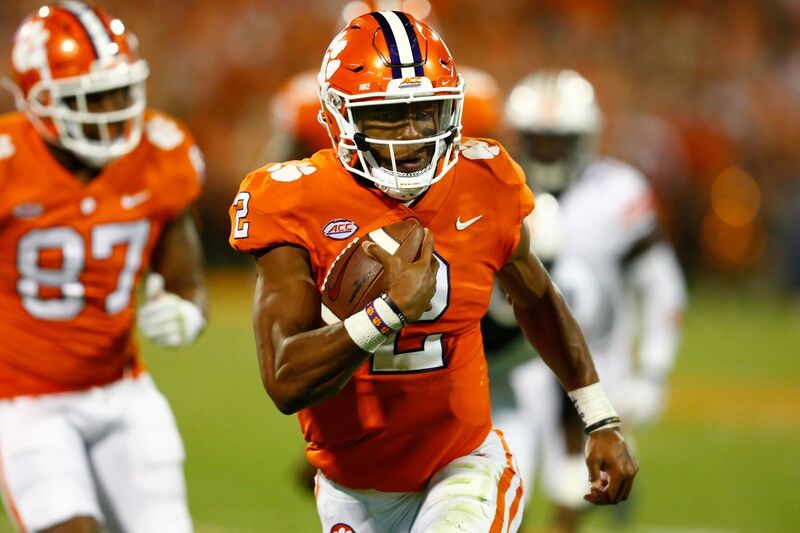 He only has two starts under his belt but Clemson quarterback Kelly Bryant is a prospect that Tigers can hang their hat on. He is far from a finished product of course but what he showed against #15 Auburn is that even when the things look ugly on offense, he is still able to make plays as he ran for two touchdowns late to give Clemson a 14-6 win. Bryant is talented and once he figures things out, Clemson will be scary to deal with. Don’t look now but the schedules for both Penn State and Michigan can shape for both teams to enter their October 21st matchup at 6-0 with the winner the likely favorite to win the Big Ten East as well as be the favorite to win the Big Ten and make a clear resume’ for the College Football Playoff. While the Wolverines have looked solid on defense, they will be tested by the productive offense of Penn State. Are they “back”? Who knows but in two games this season, the Oregon Ducks have looked like the Oregon Ducks. Running back Royce Freeman is one of the most underrated backs in the game and it is showing as he has rushed for 303 yards and six touchdowns on the season. The schedule still shows road games against #19 Stanford and #6 Washington plus a key home game against #21 Washington State. If the Ducks are “back”, their schedule will tell all.